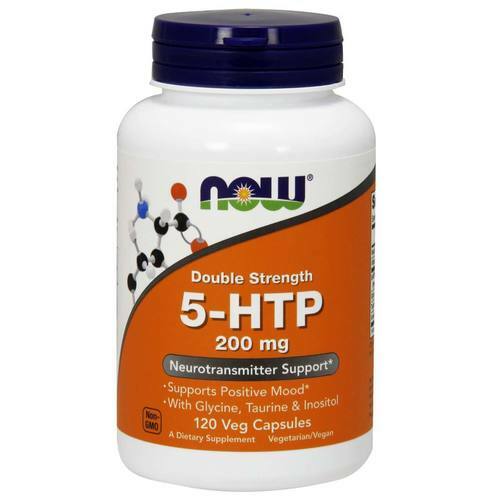 Double Strength 5-HTP by Now Foods provides 200 mg of 5-hydroxytryptophan per serving! Warnings: For adults only. Consult physician if pregnant/nursing, taking antidepressants or other medication, or have a medical condition. May cause drowsiness. Keep out of reach of children. Recommended Use: As a dietary supplement, take 1 capsule daily, preferably on an empty stomach at bedtime. The customer reviews posted below are based on individual consumer experiences and may NOT necessarily represent what expected results will be from using or taking Now Foods Double Strength 5-HTP - 200 mg - 120 Vegetarian Capsules. These results may not be typical and you should not necessarily expect to receive the same results. Actual results may vary. Great has no side effect and is very effective. It improves mood/awareness. The best supplement I have tried so far. Takes about a week to get use to. If you're looking for alternatives to ssri's/prescribed head meds, try this one for a while. It certainly helped me sort myself out. Packaging/capsule size is also great. Seems to be a very good brand. Phenomenal product, I take one the night is have a wonderful night sleep, this is a product that can not miss on my shelf. I recommend everyone who has difficulty sleeping and if taken with melatonin, better yet, take a test, I guarantee that you will never run out of this product at home. High quality and guaranteed product. You can buy it without fear, this is the best. Write the headline for your review.